Imogen's Typewriter. 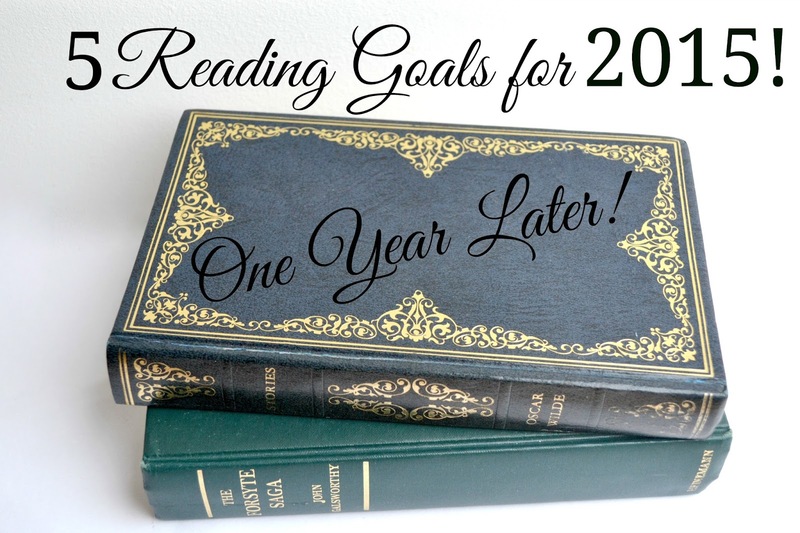 : 5 Reading Goals for 2015: One Year Later! So it's been just about a year since I blogged about my 5 Reading Goals for 2015 and 5 months since I looked over them and re-evaluated! And with my 6 Reading Goals for 2016 all planned out and coming to the blog on Monday, I thought I'd go over my 2015 goals to see my successes and failings! My Goodreads reading goal for 2015 was 15 books. I read 80 so- check! Read one of the books I 'paused' in 2014! Completely failed on this one, my paused pile has been untouched for 2015 apart from adding to it. I don't really feel bad about this one though, they're on that pile for a reason and I have so many other books to read. Read a book longer than 500 pages. In January I read The Final Empire by Brandon Sanderson that clocked in at 660 pages. And at just 500 pages The Bodies Left Behind by Jeffery Deaver kind of counts for this one too. Check and check! I read A Streetcar Named Desire by Tennessee Williams and The Black Spider by Jeremias Gotthelf but I wasn't sure if they really counted as 'classics'. Then I read four of the Penguin Little Black Classics so I'm counting this one as done! Only buy half as many as I read. I bought a fair amount of books this year but not over 40. Good Imogen! And my one extra to do with blogging. Write more book reviews. I think I did okay on this one. I reviewed all 80 books I wrote, did 12 individual book reviews and 2 series reviews. Did you complete your reading goals for 2015?